The BMW April Fools ad for 2015 has been published! 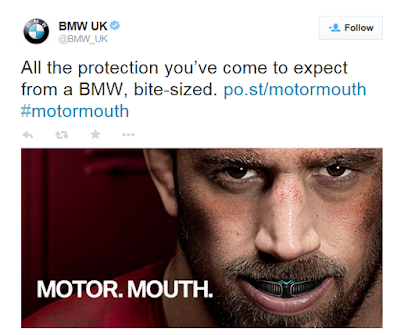 In the UK, BMW have been running BMW April Fools ads for many years and this year the April Fools ad has a (topical) rugby theme! 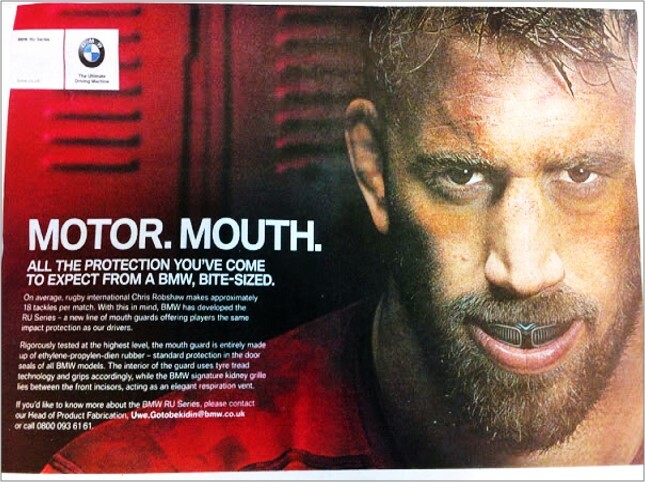 Featuring 'Chief Product Tester' / rugby star Chris Robshaw, the 2015 BMW April Fools ad is for the 'Motor Mouth' - 'All The Protection You've Come To Expect From A BMW, Bite-Sized'! "On average, rugby international Chris Robshaw makes approximately 18 tackles per match. With this in mind, BMW has developed the RU series - a new line of mouth guards offering players the same protection as our drivers. 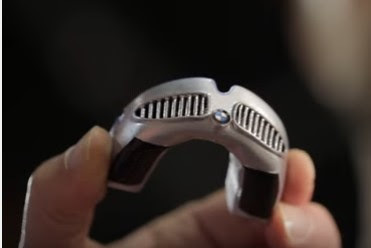 Rigorously tested at the highest level, the mouth guard is entirely made up of ethylene-propylen-dien rubber – standard protection in the door seals of all BMW models. The interior of the guard uses tyre tread technology and grips accordingly, while the BMW signature kidney grille lies between the front incisors acting as an elegant respiration vent. If you’d like to know more about the BMW RU Series, please contact our Head of Product Fabrication Uwe.Gotobekidin@bmw.co.uk or call 0800 0936161." Additionally, the star of the BMW April Fools ad, Chris Robshaw has appeared in a BMW YouTube video to extend the April Fools fun! Another great BMW April fools day ad and integration of a celebrity and other digital channels makes it feel bigger than some of the other April fools ads today.